Hey, chill out. 1871 community members are working hard on startups that are aimed at taking the stress out of daily life for the rest of the world. From power napping to preventing workplace burnout, we reached out to some 1871 businesses working on solutions to reduce stress for National Relaxation Day. Sure, many successful entrepreneurs thrive on stress, and as Bill Kimberlin recently wrote for INC. Magazine, some even become addicted to it. And maybe that’s not such a bad thing, seeing as some 1871 community members are working hard on startups that are aimed at taking the stress out of daily life for the rest of the world. From power napping to preventing workplace burnout, we reached out to some 1871 businesses working on solutions to reduce stress for National Relaxation Day. Currently aiming to launch her brick-and-mortar “nap studio” space in September, Peace Power Napping founder Jennifer Thomas is using tech to take the stress out of something already refreshing -- a short nap. With a tap of an app, Peace Power Napping offers busy professionals who need a quick snooze to book and check-in to the N. Michigan Avenue location that she is preparing to open, the first of many in Chicago. Nappers at the studio can also get a little Zen from the fact that Thomas and Peace Power Napping plan to donate 2-percent of their profits to local, peace related causes in the community. Follow Peace Power Napping on Facebook and Twitter. If the sight of a vacuum or lawn mower seriously spikes your anxiety, 1871 member ChoreRelief and founder Tarik Khribech have a pitch for you. ChoreRelief is a mobile app that frees customers from the burdens of chores and small household projects by allowing them to name their own price and schedule. The job is immediately shared with providers and the app acts as an automated virtual assistant. ChoreRelief has no barrier to entry and is free to use. In less than thirty seconds, and with a few swipes, users can share chores with local, trusted providers. The app allows for real time job status reporting and handles the invoicing so users won’t stress about scheduling and payment. The app is available on the iTunes App store. 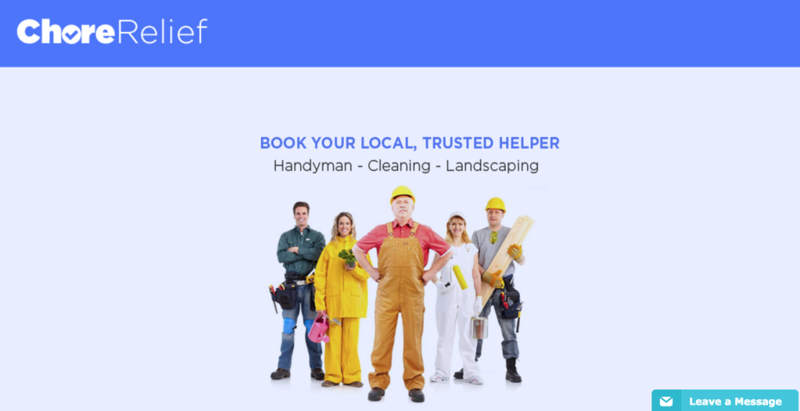 Additionally, the app enables local contractors and other service providers to quickly find jobs, taking some stress out of the process of nailing down gigs. Workplace burnout can be a bummer, and 1871 mentor Jane Shersher and her company Ava Today are looking to fight it. 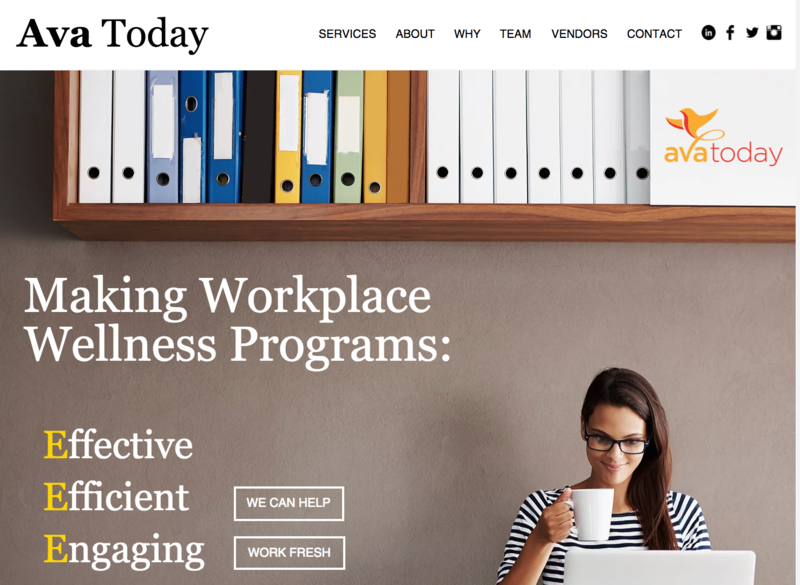 Ava Today is a holistic consultancy that works with entrepreneurs, mental health providers and companies from all different types of backgrounds to help empower employees regarding wellness and productivity management. Our services usually start with an assessment. We use the data from the assessment to prescribe and implement customized programs that target specific and relevant pain points for our clients. Our approach is multidisciplinary, so we teach self care techniques regarding the mind and body (involving fitness, nutrition, joint alignment, meditation, emotion mapping, psychological support, and more) along with consultation for the work environment (such as ergonomic furniture, workplace design for employee engagement, occupational therapy consultation, etc.). For 1871, our entrepreneur-focused program (Starter Coaches) offers workshops and mentorship services to empower members to reach their potential efficiently in one piece. What’s stressful about marijuana if you’re legally able to use it in Illinois? Part of the answer is privacy, where legal users and those in the industry might want to connect and share experiences, but don’t have a platform where they can freely share without worrying about anyone else -- friends, family, work etc. -- to find out. That’s where Kurt Akers and Val Scarlata come in. The company has created a private social network for medical marijuana users and those in the business of providing services in the industry to safely and discreetly connect. The company also maintains an incredibly chill (and informative!) 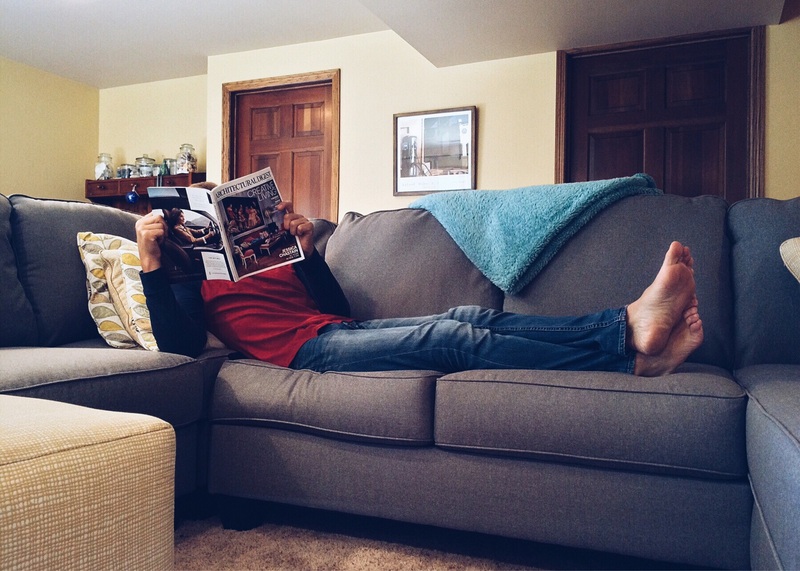 blog presence, which is relaxing reading for users and non-users alike. Need an easy gift for someone in the family with a prescription? Kannatopia’s 7 Mother’s Day Gifts for Your MJ Smoking Matriarch is a good place to start. Have a prescription yourself? The company’s “Pair Your Summer Reading with These Seven Strains” guide is a timely piece. Not familiar at all with the medical marijuana industry? Kannatopia has several interesting explainers to get familiar with the topic. LISA wants you to “feel good on your terms,” and the 1871 member company provides a host of services when relaxation just means treating yourself. The app -- available for iPhone and Android -- allows users to book hair, face, body, and nail services on demand and on a time that will fit their schedules.